A small change today can change our tomorrow. A small change 100 million years ago can change everything. No one really noticed when things started to change. Some animals vanished. Some new ones appeared. Then some things appeared that were monstrous. 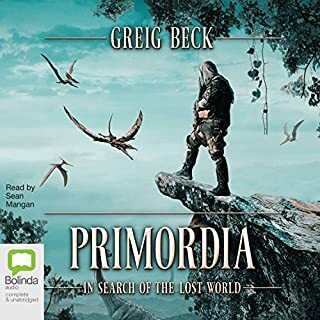 No one seemed to notice except Ben Cartwright and the other survivors of hidden plateau in the depths of the Amazon jungle. Only they were aware of the growing threat to the human race. Greig Beck has evolved into an incredible writer. An accident during the construction of a tunnel beneath the Bering Strait leads to the discovery of a network of caverns and evidence that hints at the survival of a primitive human species. Led by DARPA technologist Reinhard Thyssen, a team of experts from around the globe is dispatched into the subterranean maze to discover all they can before the caves completely flood. Something lurks in the darkness, though. A creature has evolved into a predator unlike any the world has ever known, and it's up to the scientists to make sure that it never reaches the surface. In December 2018, Ben Cartwright, former Special Forces soldier, and a team of naive explorers followed the clues left by his ancestor to a hidden plateau in the middle of the Amazon jungle. It was said that once every 10 years, a secret pathway was revealed to a world long since gone. They went, and what they found was a place of wonders and of horrors. Only Ben and his childhood love, Emma, survived. But when the doorway to the hidden world closed, Ben was trapped on the wrong side. Now, Emma has waited 10 long years for the doorway to open again. This time she’d be ready. Sequel better than the first!!! More than 75 years ago, five Nazi scientists embarked upon an expedition into the frozen Himalayas in search of the origins of the Aryan race. What they found instead was something beyond their wildest imaginations--a secret they would sooner take to their graves than risk releasing upon an unsuspecting world. 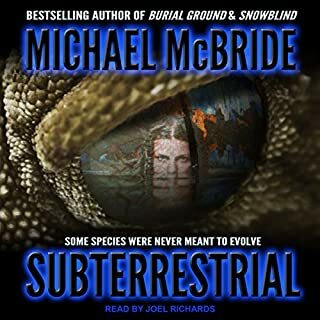 A journey into the deepest, darkest jungles of the Venezuelan Amazon...and a primeval place and time that mankind was never meant to exist in. Ben Cartwright, former soldier, home to mourn the loss of his father, stumbles upon cryptic letters from the past between author Arthur Conan Doyle and his great-great-grandfather who vanished while exploring the Amazon jungle in 1908. Amazingly, these letters lead Ben to believe that his ancestor’s expedition was the basis for Doyle’s fantastical tale of a lost world inhabited by long-extinct creatures. When eccentric billionaire Ellis Holloway hires renegade marine biologist Sam Aston to investigate the legend of a monster in a remote Finnish lake, Aston envisions an easy paycheck and a chance to clear his gambling debts. But he gets much more. There is something terrible living beneath the dark waters of Lake Kaarme and it is hungry. As the death toll mounts, Aston faces superstitious locals, a power-hungry police chief, and a benefactor's descent into madness as he races to find the legendary beast of the lake. In Fathomless, the greatest predator the world has ever known is coming home in 2016. Carcharodon megalodon. The largest and most fearsome predator to have ever existed on our planet. Rumours of its existence in our modern oceans have persisted for centuries. Now, in a new adventure, the rumours explode into brutal and terrifying reality in Fathomless, by Greig Beck. The fossilized remains of a previously unclassified hominin species are discovered in the Altai Mountains, prompting teams of scientists from around the globe to converge upon this isolated region of Siberia in search of further evidence to corroborate the revolutionary theory that a third protohuman ancestor coexisted with Neanderthals and primitive Homo sapiens. What awaits them is anything but extinct. It is only when the bones of its prey are discovered in a remote Scottish glen that the majesty and power of one of nature’s most successful predators is truly revealed. As it strikes silently from the shadows and on nights shrouded in darkness, a small village falls under siege to a remarkable creature. For thousands of years mankind has had the upper hand but now - suddenly, violently, bloodily - the balance of power has shifted. For over a decade, archaeologist Dr. Martin Anders has searched in vain for proof of the fabled continent of Atlantis. After raising a puzzling artifact from the ocean floor, Anders gets more than he bargained for. It is a piece of modern technology thousands of years old. When a deadly global pandemic threatens the human race with extinction, Anders fails to see how it may be connected to his startling new discovery. That is until he's approached by a powerful biotech company. When a plane crashes into the Antarctic ice, exposing a massive cave beneath, a rescue and research team is dispatched. Twenty-four hours later, all contact is lost. Captain Alex Hunter and his highly trained squad of commandos are fast tracked to the hot zone to find out what went wrong - and to follow up the detection of a vast underground reservoir. When the body of Hunter Gearhardt washes up on the banks of a seasonal river outside of Pomacochas, Peru, with only samples of vegetation, a handful of feathers, two black- and gray-streaked rocks, and a golden headdress of indeterminate origin in his possession, his grieving father launches an expedition to determine how his son died. The party uses these clues to divine Hunter’s route into the jungle, where they find a surviving offshoot of a primitive tribe, long thought to be extinct, and something far more sinister, something that’s been able to avoid discovery for eons for one simple reason: No one leaves the rainforest alive. What's worse than trudging through a jungle? How 'bout trudging uphill through a jungle? 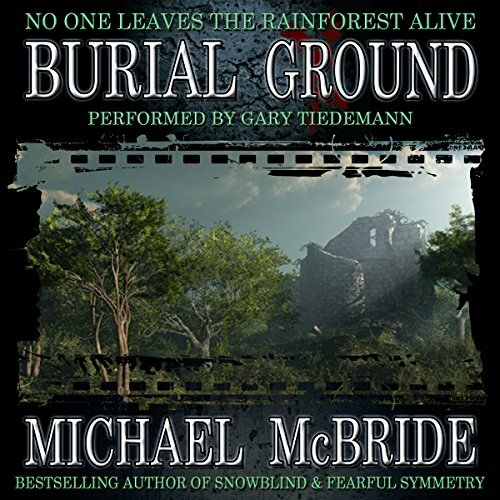 Set in the Peruvian rainforest nestled along the mountains, a dead body is discovered and prompts and expedition to find out who--or what--killed him, and where he found that snazzy gold artifact tucked in his bag. After a wealthy industrialist learns his galavanting son has died under mysterious circumstances in South America, he leads a recon team of scientists and mercenaries into the jungle for answers, guided by the bush pilot that found his son's corpse and the golden crown in his possession. Suspicion on all sides over who knows how much weighs heavy as they venture into the wild, but their own little quabbles are quickly outweighed as it becomes all too apparent that there is a tribe in the jungle, one that has until now gone undiscovered, and the team finds themselves in a race for answers as well for their lives. If you like those globe-trotting thrillers and encounters with the unknown, you're likely to really get a kick out of this book. 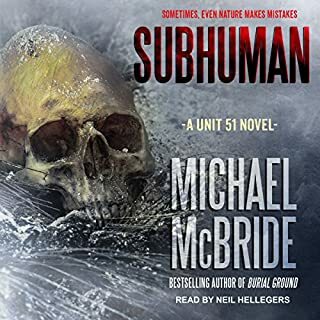 What could just be a paint-by-numbers horror/thriller fare is quite capably handled by McBride, who turns this into something just a little bit more riveting than what you might find late at night on SyFy. The characters are fleshed out much more than the run-of-the-mill stories you might be used to, and while the broad premise of the book doesn't feel all that original, its execution helps it stand out from the pack. 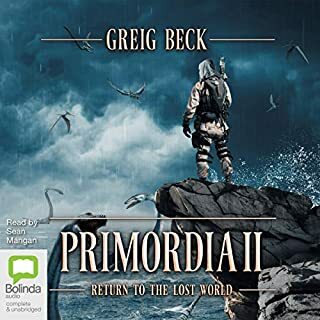 The ending isn't quite so revelatory, but a minor complaint for an audiobook helmed by Gary Tiedemann who does a great job in keeping the tone and pace of the story just right, and the characters engaging the whole way through. If you're a fan of those Preston/Child novels, I'd wager you would be a fan of this one. Reminiscent of early Preston/Child non-Pendergast fare, this story should satisfy any need you might have for a good jungle expedition story. There’s nothing particularly new here but it entertains. You need to be prepared to have the time to listen to this book because if you don't, you can miss important details. There are extensive details throughout the book and it's obvious that author did a lot of research into the history of the area, and just in general. 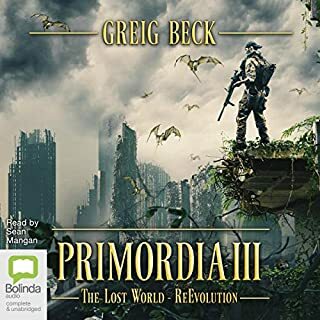 The story is really well written and has a action/adventure theme, along with some of the theory behind bird evolution, almost like what was said in the movie Jurassic Park. I did really enjoy the narrator in this book, he read the story well. This was a great, though strait forward, thriller. The basic premise, is a wealthy man’s son died while searching through a Peruvian rain forest. The man then assembles a team to search for closure, and this book is based around their excursion through said rain forest. The author did a great job with the scenery, it was descriptive and vivid enough that I could get a good picture of it in my mind. He also did a great job with the characters. He gave enough of their back story to make them believable and relatable. Although the story did get predictable at times, the author kept the book engaging enough that I couldn’t put it down. My only real complaint is that the author showed a complete lack of knowledge when it comes to firearms. Overall the book was good enough for me to look past that though. The narrator did a fantastic job with this book. He chose great voices for all the characters and he made the story that much better. His pacing and tone were great, and he kept me on the edge of seat, especially during the tense scenes. 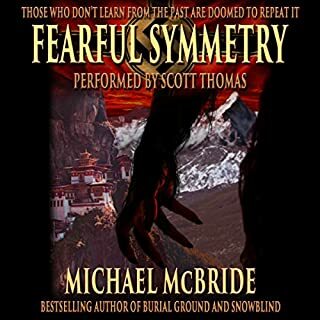 In the end, if you’re looking for a great thriller and you don’t mind the author’s lack of gun knowledge, this book is definitely worth a listen. This audiobook was provided by the author, narrator, or publisher at no cost in exchange for an unbiased review. loved it. buy it now. I felt like I was in the jungle with them. Screee! An edge of your seat read! I didn't want to stop listening, I had to know what was going to happen! This was a suspenseful mystery. A group of experts, each in their own different fields, set off on an expedition to find out what happened to a retired, treasure hunters son. Not only are they being followed by a group of missionaries, but what they are faced with in the jungle is nothing less than frightening. Think Congo, but it is not apes they meet up with. Met all my expectations. I only wish it wasn't as predictable. If your an adventure novel fan, it's a worthy addition. This book seemed to be longwinded. Certain parts of the book had too much descriptive verbiage which did nothing to enhance the book. The love story was pathetic and should have been kept out of the book. I saw the ending coming and was not at all surprised. The narrator was great though and did a very good job with his voicing of female characters.